AGS Movers Spain Manager, Antonio Gonzalez, a Board member of the Madrid Area Organization of moving companies (OCEM), has expressed support of the amalgamation between the OCEM and the general Association of Transport Companies of the Central Region (ATRADICE). The integration agreement between the two unions has been approved by the governing bodies of both organizations. 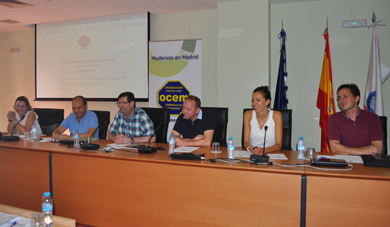 The newly created union, called Grupo OCEM, will focus mainly on removals and storage companies. The union of the two associations will result in greater representation by the moving industry sector on the transport lobbies.